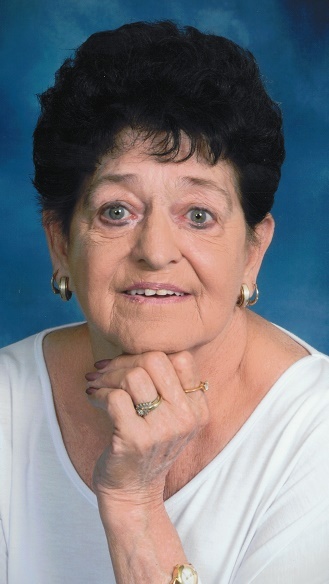 Dorothy M. “Dottie” King, 76, of Geneseo passed away June 25, 2018 at Genesis Medical Center Illini Campus. Funeral services will be 10am Saturday at Schroder Mortuary in Colona. Visitation will be 4-7pm Friday at the mortuary. Burial will be at Dayton Corners Cemetery in Colona. Memorials may be made to the family. Dottie was born Oct. 10, 1941 in Pearl, IL the daughter of Ransom and Lela Schlieper Haney. She married William “Bill” King March 21, 1992 in Colona, IL. He passed away March 27, 2008. Dottie worked at the Colona Legion for 20 years as the manager. She later worked at Hometown Express in Geneseo for 10 years. She enjoyed gardening, flowers, crocheting, playing cards and working crosswords. Dottie especially loved spending time with her family. Survivors include her children Anthony (Debbie) Schlieper of Colona, Larry (Barb) O’Neil of Geneseo, Kim (Kevin) O’Neil of Kansas City, MO and Bill “Dude” (Alena) Barnes of Annawan; step children Debra King of Morrison, CO, William “Willy” (Kathy Rae) King of Parker, CO, David King of Aurora, CO, Darren (Marcia) King of Stafford, VA, Mary (Louie) Montez of Geneseo; several grandchildren and great grandchildren; siblings Dale (Lee) Stillwell of Colona, Russell (Gloria) Stillwell of Colona and Virginia (Earl) Kain of Rock Island; special companion, her cat Malcolm. Dottie was preceded in death by her parents; 3 husbands; grandson Mason; great grandson Anterio; 2 sisters and 1 brother.